It's been winter here in Australia and we took our first family trip to the snow. Little kids in the snow are an amazing thing to watch. Such pure joy. Well for our oldest, our youngest was a bit wide eyed. And in amongst the family fun (including having to stop on the way to get a carrot for our snowman), we of course made snow balls and threw them at each other. The first one I threw at my partner had me feeling really satisfied. She threw one back at me and said, "That was really satisfying". We threw more, as you do. And it continued to be a deeply satisfying experience - without malice, no headshots, just fun. It felt like any stress and unexpressed 'stuff' between us suddenly has a safe yet very satisfying outlet. 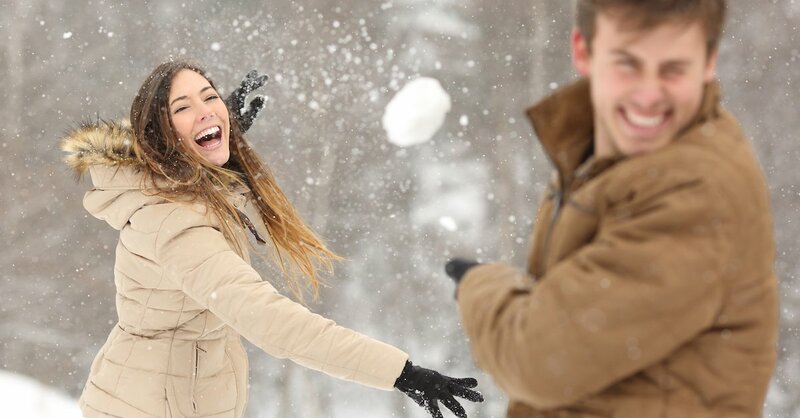 We were just throwing snowballs - and it felt a deeply healing experience. None of what moved needed words, just an outlet, a little cleansing in the bright crisp snow. Afterwards I felt an greater ease, a deeper potential between us. It was honestly one of the best things we've done for our relationship in a while. It reminded me of when we used to play fight. A similar feeling. Go throw some snowballs and let me know how you go.